Are your kids protected from even minor injury? 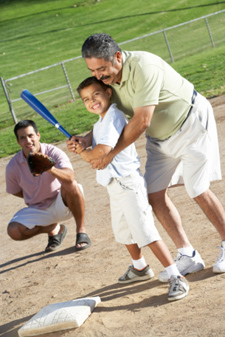 I have three sons, so I see firsthand how physically active kids can be. Even a small spinal misalignment, however, can initiate the damage process. On average, kids fall an astounding 18 times per day from the time they’re born to the age of five. That’s close to 6,000 falls per year, per child! Of course most tumbles and spills are in the minor category, but it’s the cumulative effect of those stresses and strains on the structures of the spine that create problems. I believe it’s critical for children to be the best that they can be, with a clear, fully-functioning nervous system. Make sure that your kids get a chiropractic checkup on a regular basis. Have certainty that everything is functioning in maximum mode.